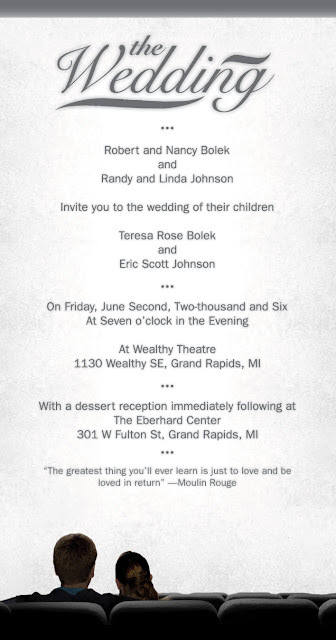 This is the cover for an invite with a theatrical theme. It was for a couple to whom I am related to the bride. The groom owns his own movie production company and we have become very good friends as well as business associates. 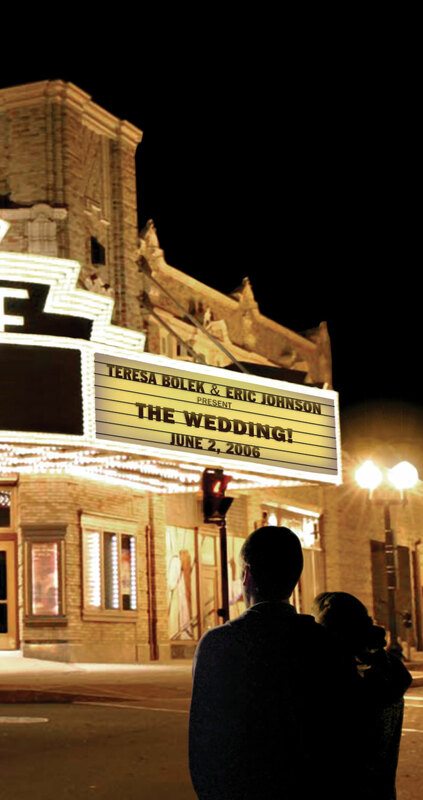 They chose to get married in an old movie theater which lended itself to a perfect concept to work from. The cover was created using both Photoshop and Illustrator. The piece opens upwards revealing the main interior page. The main interior page's image was achieved by photographing the couple sitting on my couch and bringing in theater chairs from stock photography. I added a screen texture for the background and used a light drop-shadow to blur the text a bit to create a look of old movie credits. The map carries through the look of an early movie theater with it's various elements. The RSVP ticket was a tear-off mailable piece created in Illustrator. 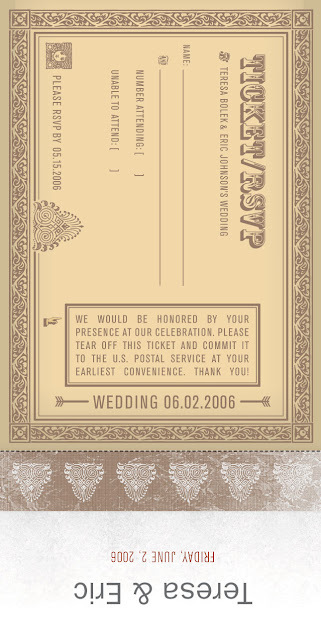 Already stamped, ready for mailing, this RSVP ticket/postcard helped achieve a +90% attendance.